Whether you have never been behind the wheel of a car before, have some experience and are looking to finish your driving tuition in Barnes, have an overseas licence and just need to brush up before going for your UK driving test to secure a UK driving licence in Barnes or perhaps you need to get a licence by a certain time and need an intensive driving course in Barnes - whatever your requirement we at Chelsea Driving School will be able to fulfil your needs. 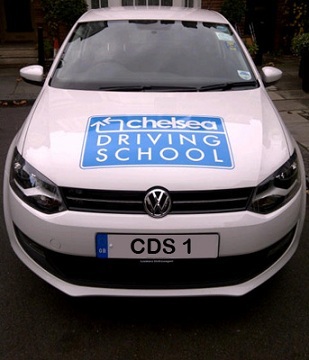 Choosing a driving school in Barnes can be a daunting business so here at Chelsea Driving School we will try and make it easy for you - quite simply if you want access to only the best, most experienced driving instructors in Barnes then we believe our instructors meet that description! Once our instructors have assessed you in the first lesson they will develop a bespoke driver training course for you in Barnes that will ensure you benefit from every minute you spend behind the wheel. Once your instructor believes you are ready you will take a 'mock' test with one of our Grade A qualified instructors to give you a second opinion and make sure that you are ready. This is to ensure that we get you through the driving test as soon as possible but without wasting your time and money by sending you for a test you are not quite ready for. See our 'About Us' page to learn more about how we operate differently from other motoring schools in the Barnes area. Don't just take our word for it though, take a look at our 'Testimonials' page for some of the great feedback we get from pupils who have leant to drive with us in Barnes. Please see our 'Courses' page for more details of the different types of driving lessons we offer. We understand that every persons needs are different. Get in touch through any of the many ways available (including 'Contact us' here) and we promise you will be dealing with one of our dedicated, friendly employees committed to making sure you receive the best customer service available - no outsourced call centres or centralised booking here. We also provide automatic driving lessons in Barnes, provided by instructors specially trained and qualified in automatic driving tuition.